I hope you’ll join us for Wine & Words Spoken Word Evening at Black Dog in Snoqualmie, October 4th. It’s always a fun and entertaining literary evening. Spotlight Author will be FVP’s own, David S. Moore. See you there! Several of our FVP authors are published poets. 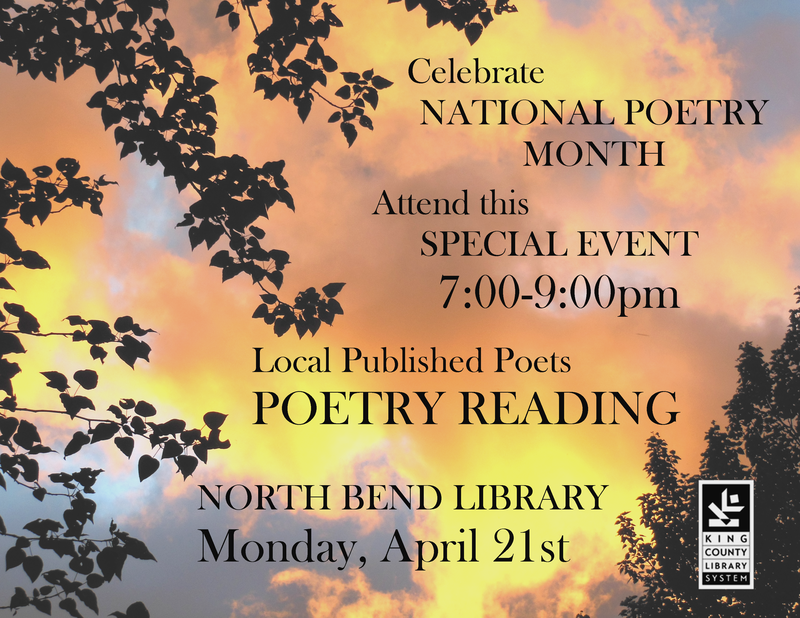 They will be reading published and new poems at this special event at North Bend library on April 21st. This is a King County Library System event. Join Us!